Developmental milestones refer to important events in the growth and development of your child. By the time children reach 12 months of age, they are considered to be ‘toddlers’. While toddlers can vary a lot in their size and shape and what they can do, there is a well-defined time frame over which most toddlers will reach their developmental milestones. Just like babies, toddlers develop and reach these milestones when they feel safe and loved. Toddlers also need plenty of sleep. Try and make sure your child gets 12 to 13 hours of sleep over a 24-hour period, spread over a long sleep overnight and one to three shorter sleep during the day. These developmental milestones help you assess how well your child is meeting his or her growth standards. Here, we have a compendium of the yardsticks. Your toddler may be able to stand up without help from you or other support between 12 and 15 months. Once they can stand, they soon start to explore more. Many toddlers start walking on their own between 12 and 15 months but it is normal for others to start walking at 15 to 18 months. Between 12 and 15 months, toddlers learn a lot about their world by shaking and banging things and putting them together in piles or towers then knocking them apart. They may be able to point to the people and things they know when you ask them. Your toddler may start to drink from a cup. They will also gain more control of the movements needed for those skills that will enable them to start picking up very small objects, such as small stones or parts of toys. By 18 months, most toddlers have a lot more control over their hand and arm movements and may try to help you dress them. 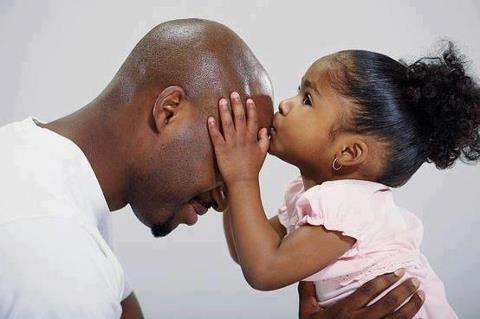 At 12 months, your toddler will have well developed emotional attachments to people and start to show them affection. Usually, at about 14 months, they will start to feel separation anxiety when they are fearful of being separated from you. Some start to throw temper tantrums. Your toddler will start to understand how others feel. Your toddler may also begin to become very self-aware and show signs of embarrassment if people are watching them. You’ve probably noticed for several months that your baby seems to babble. Now you’ll start to hear real words among the grunts, nods and pointing. There may be one or two words at about 12 months, increasing to six or more words by 18 months. By 18 months, your toddler will know the purpose of some things, such as phones and brushes. Between 12 and 15 months, your toddler will also begin to hug you, point to body parts or favourite things when you name them and follow simple instructions. They are also able to recognise their own names. By 18 months, your toddler may recognise himself or herself in the mirror. To help your toddler develop well in this period and reach the milestones in the normal range, you can show lots of warmth and love with hugs and kisses, play with them, talk to them, encourage them to explore safely alone and with other toddlers, read or sing nursery rhymes to them and encourage visual imagery through cartoons. Do not forget to ensure your toddler receives all required vaccinations at the correct time and keep all growth and monitoring clinic appointments.